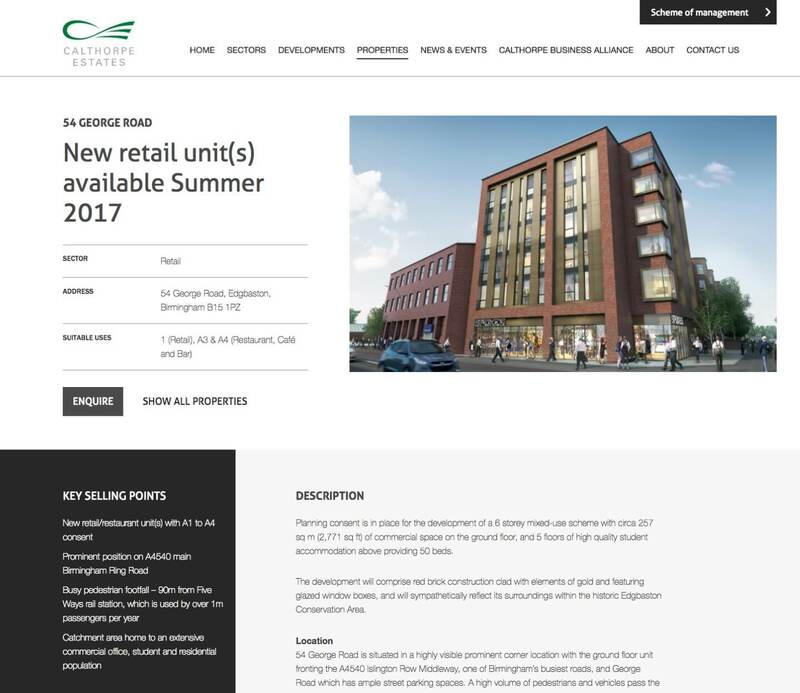 Calthorpe Estates are one of the UK’s most progressive property investment and development companies, responsible for delivering a multi-million pound regeneration portfolio, including retail and leisure, office and medical developments. 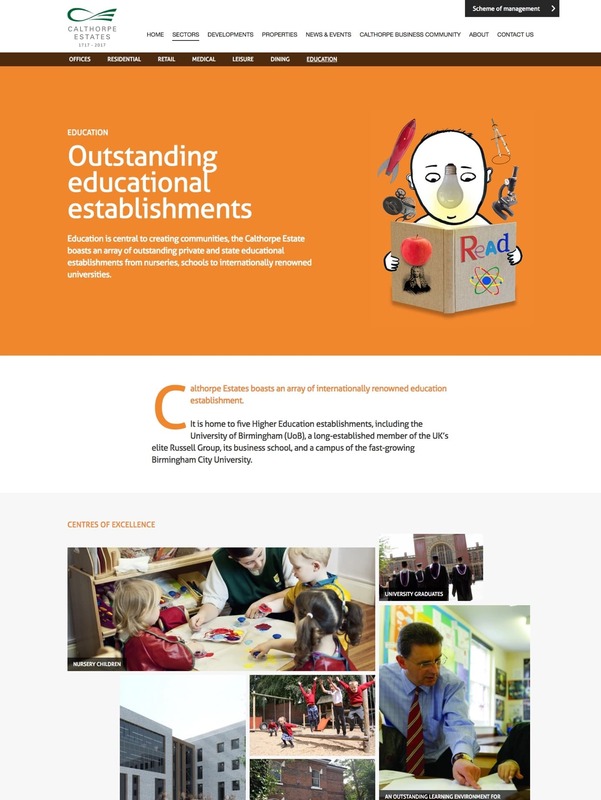 Calthorpe Estates, therefore, required an online presence which reflected the magnitude of a forward thinking business. 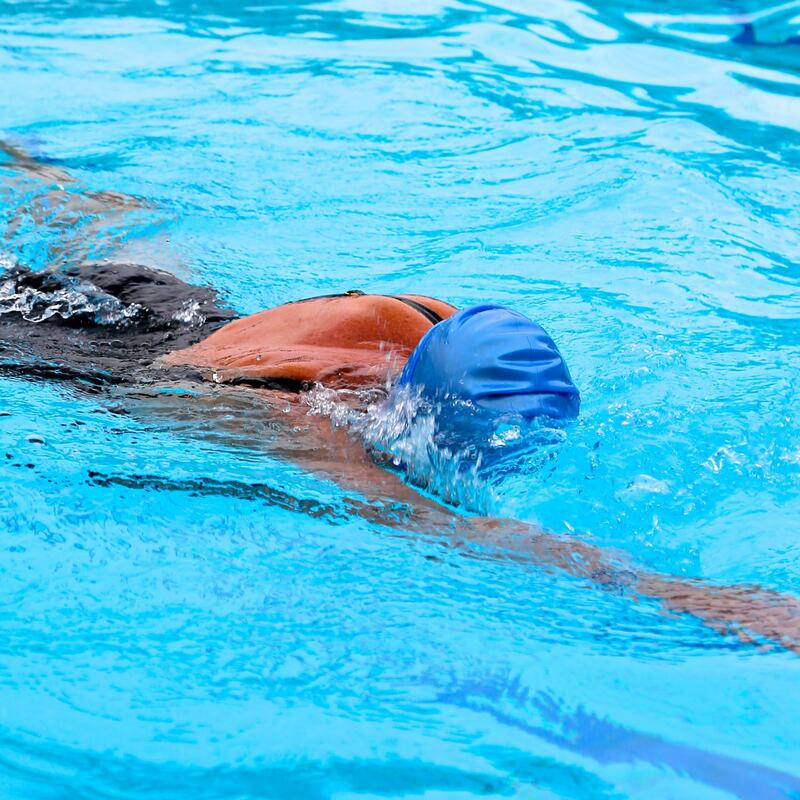 With first impressions integral to the user experience, the website was designed so that initial visitors would see relevant information from first view. 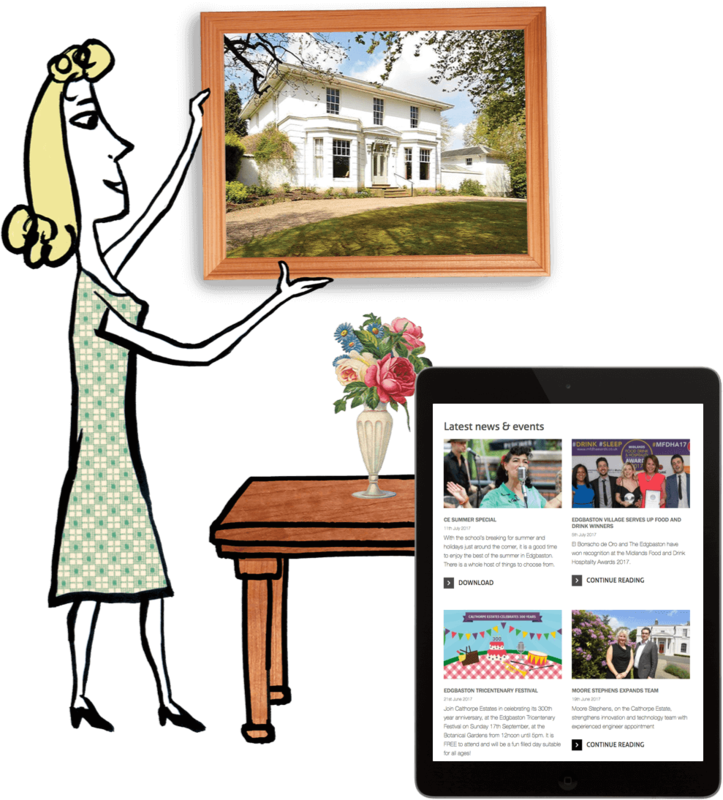 This includes featured content for different users, featured case studies, and the latest news, events and clearer navigational pathways. 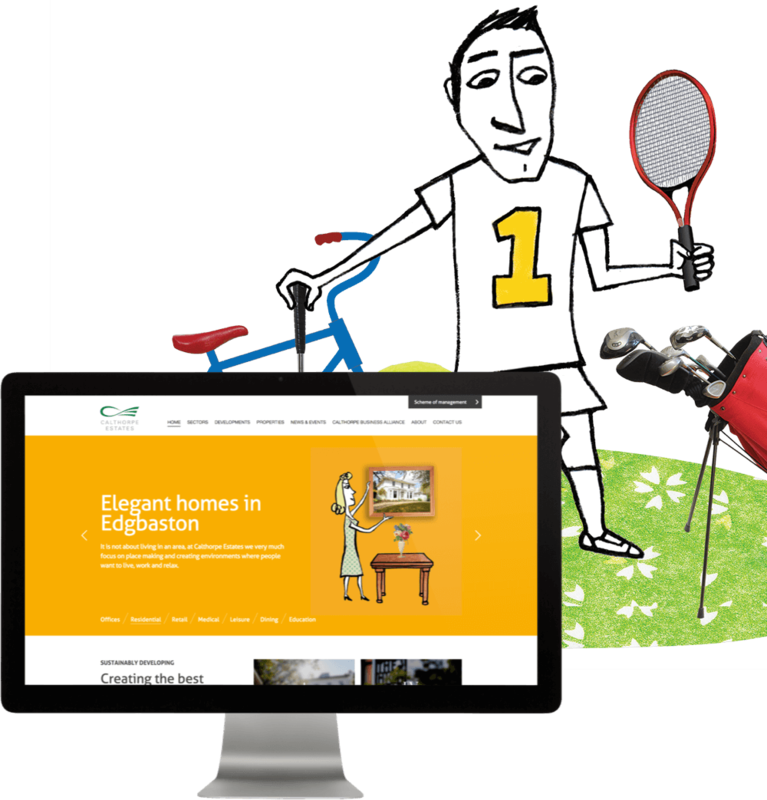 Overall, the objectives were to create a clear and concise, easy to update website, with more visibility and increased user engagement. 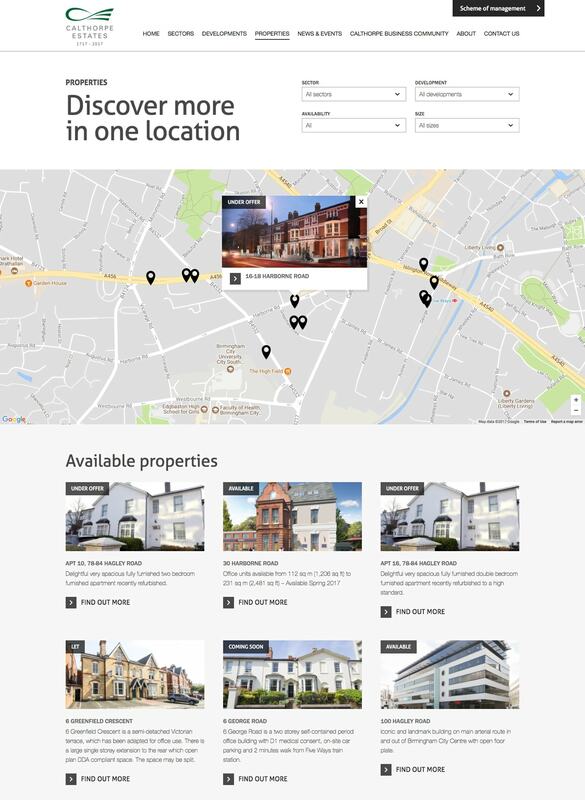 The Calthorpe team were also armed with a full content management system that allowed them to update their property portfolio, update news and events, and respond to enquiries, making it easier to manage the online portion of their business. 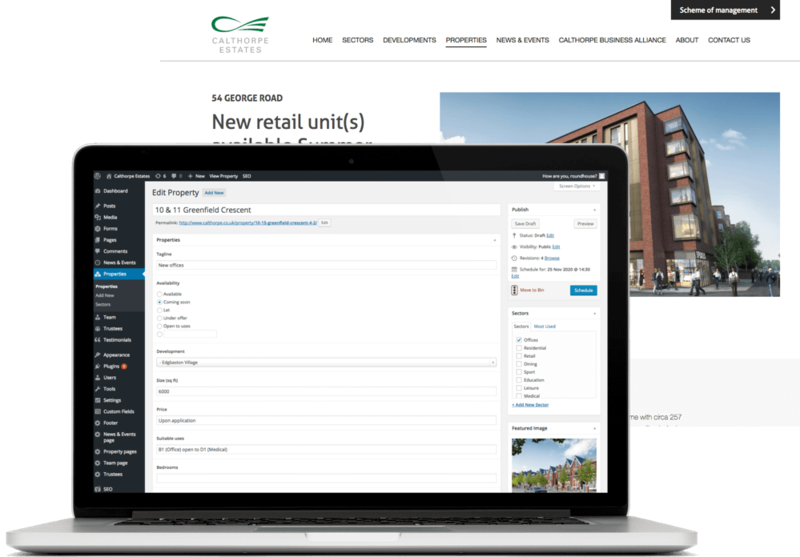 The content management system also offers scope for expansion, with the objective of being able to unify further microsites under the Calthorpe umbrella in the future. An additional design feature was the presentation of properties via a map view. The team created a map of Edgbaston, with custom clickable pins indicating their locations. When a user clicks a pin, they are presented with a large image of the property, the property title, and a call to action. The map view was a more appropriate approach than a traditional listing, given the number of properties within a small radius.